The full drum sheet music for “Walk This Way” by Aerosmith from the album Toys in the Attic (1975). 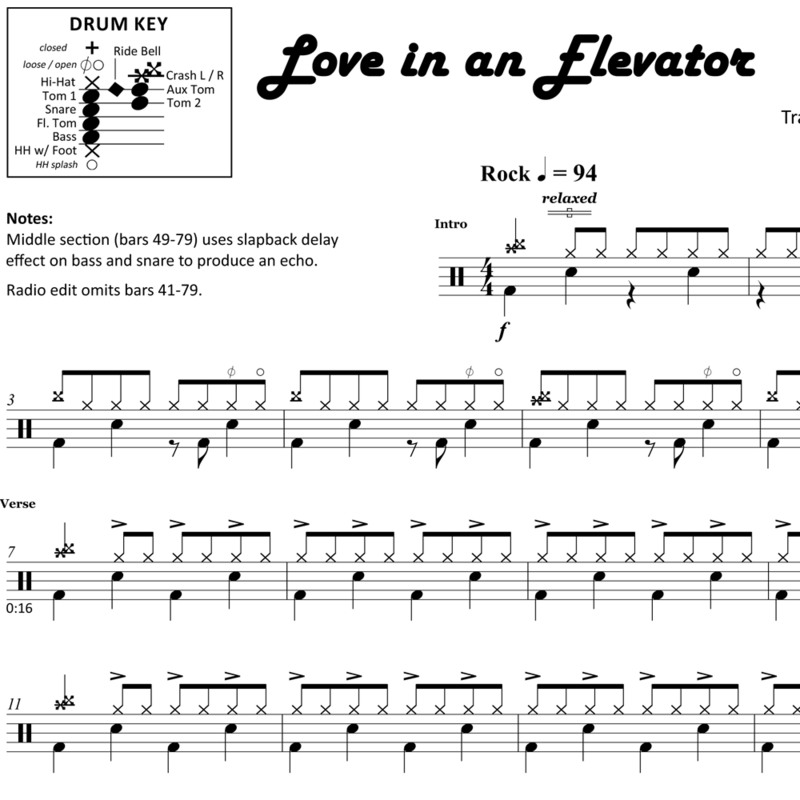 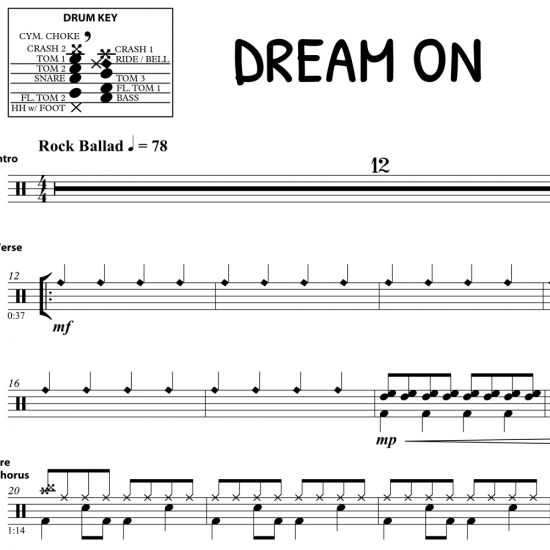 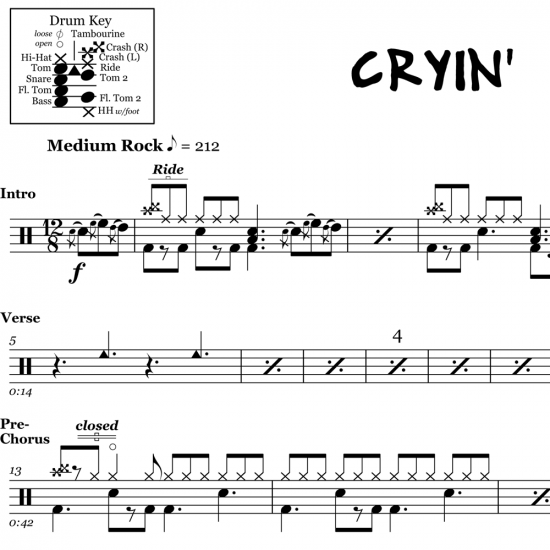 You can probably recognize this song just by hearing the classic drum intro. 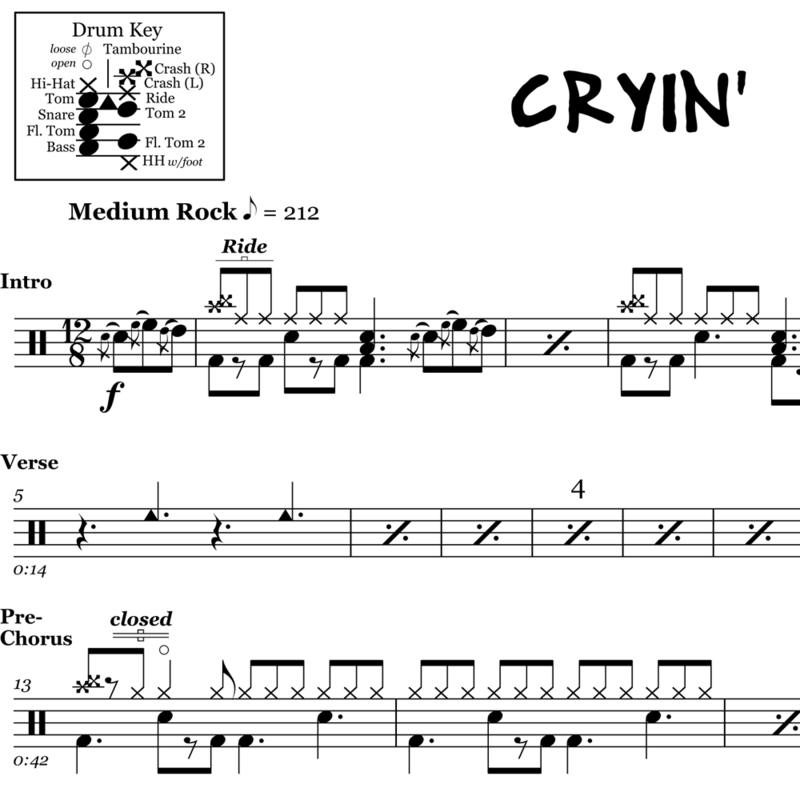 Joey Kramer does an excellent job of keeping this drum track simple but catchy.